New details have come to light about the 12 male sailors aboard Navy submarine the U.S.S. Wyoming who were implicated for involvement in the secret filming of their naked female shipmates late last year. The filming had gone on for nearly a year, investigators would come to learn, with videos of up to four of the women assigned to the boat as well as midshipmen on cruise during two patrols with Wyoming, from August to November 2013 and March to June 2014. Three sailors filmed the women and distributed the short recordings; two admitted their guilt and one was implicated by another sailor. As previously reported, Missile Technician 2nd Class Charles Greaves, Missile Technician 2nd Class Ryan Secrest and Missile Technician 3rd Class Cody Shoemaker all pled guilty to “secretly filming and sharing videos of female shipmates.” Greaves, the ringleader who referred to filming naked women as “capturing Pokemons,” was sentenced to two years in prison and received a dishonorable discharge. [William] Houston, the SUBRON 20 boss, recommended seven sailors for Article 32, one for nonjudicial punishment, a command transfer for the exonerated MT1 and that two other sailors’ cases be forwarded to their new skippers at Trident Training Facility Kings Bay and the ballistic missile sub Michigan in Bangor, Washington. In the end, 10 sailors faced punishment, ranging from dishonorable discharge and prison time to reduction in rank and pay forfeiture at captain’s mast. Asked why he didn’t report the videos, ring member Missile Technician 3rd Class Brandon McGarity blamed peer pressure. SUBRON 20 boss William Houston, however, does not think that filming ring is indicative of larger problems aboard the submarine or in the Navy at large. 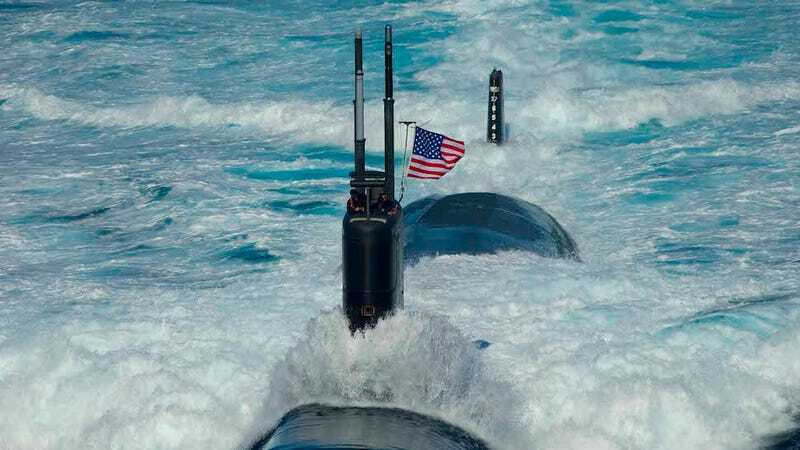 The fact that rumors and invasive videos of naked female crew members had to spread to an entirely separate submarine before being reported might suggest otherwise.